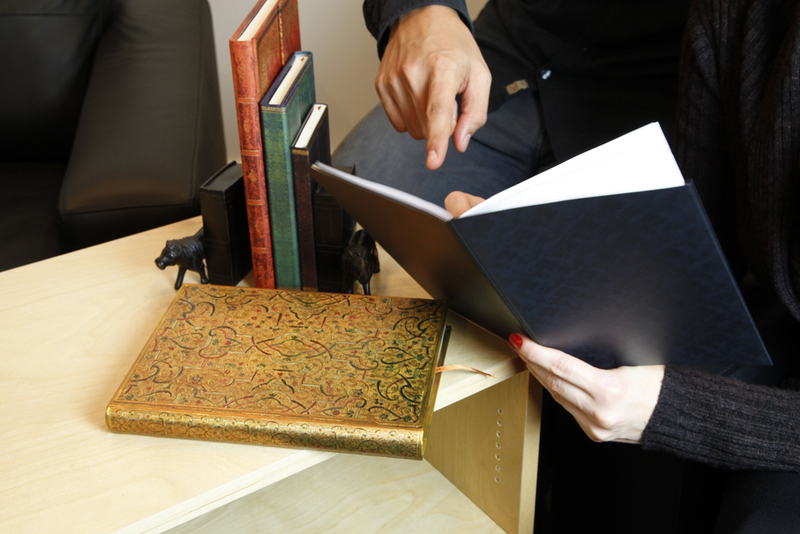 Introducing eXchange™: A New Line of Covers for iPads from the Makers of Paperblanks®! 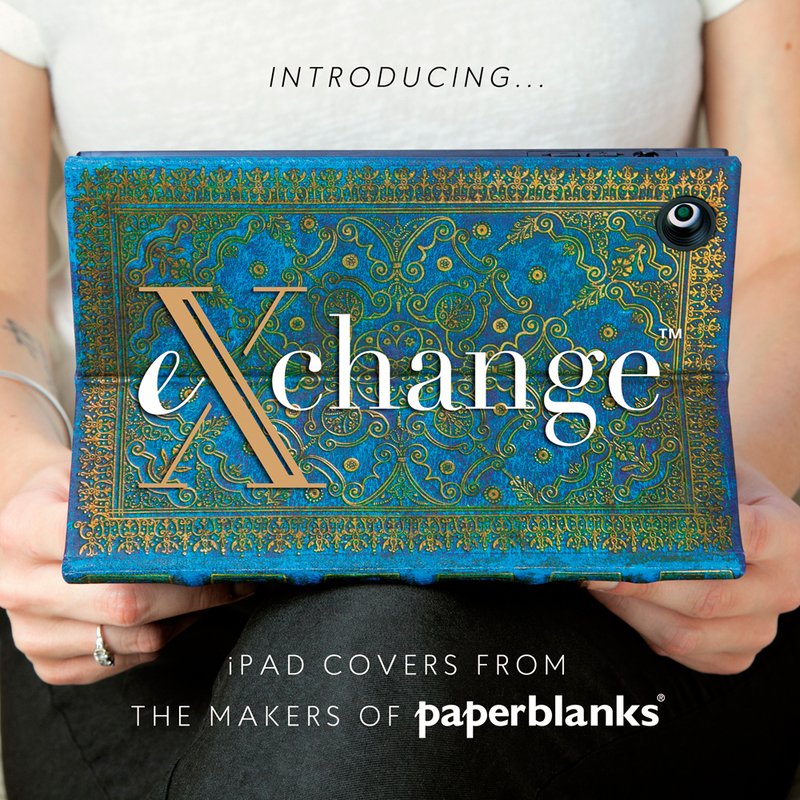 We at Paperblanks®, a part of the Hartley & Marks™ product family, are thrilled to announce the official launch of eXchange™, an innovative line of “Tablet Jacket™ Systems”! We are launching this season in select European markets and across the United States, and looking forward to arriving in stores around the world this spring! 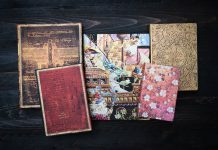 Of course, it would have been easy to select a few remarkable designs from our Paperblanks® collection and pop them onto a tablet case, but we didn’t stop there. Our design team called upon their years of bookbinding experience when developing the eXchange™ grip technology, and the result is a Tablet Jacket™ System that is stable from any angle or orientation. 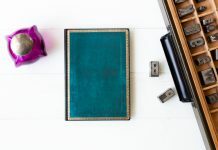 Featuring elegant Paperblanks® designs as well as classic yet trendy solid colour options, innovative magnet technology that makes the screen viewable from every angle and enhanced protective features safeguarding your tablet for everyday use, eXchange™ cases mean you never have to choose between fashion, versatility or protection. So, whether you’re glancing at a recipe, watching a movie in bed or giving a presentation, eXchange™ cases make sure your screen is viewable in every situation. I don’t even own a tablet, but I still want one of those! Looks great! Can I get it in South Korea?????? We are beginning our launch in select European markets and the United States, but will be looking forward to expanding internationally in the new year. If you would like, please visit our website contact page (http://exchangebyhm.com/#contact) and we will make sure you are put in touch with the right representative for your market! I can’t find these gorgeous eXchange Tablet Jackets for iPad 2’s on Amazon or elsewhere. This is almost a year later reading your blog… Where can I buy them online? Wish I can get it in iran .. Thank you for your interest. We are working hard to get eXchange Tablet Jackets™ to everyone who wants them and will certainly update our websites and social media when we launch into a new region! For all eXchange™ updates, please visit our Facebook page: https://www.facebook.com/exchangebyhm. A year later, and I still can’t find out where to buy them! Help! So sorry to hear that you are still struggling to track these down! If there are iPad 2 models available in your region, we would love to help get one to you. Please email us at info@hartleyandmarks.com and we will do our best to help you find an eXchange case. Please make the covers for Kindles too. That’s a good idea! We will pass it along to our product development team. Is it possible to buy them in Poland? We are excited to announce that our online Web Shop will be launching in Poland at the end of this week. You will be able to find all our products, including eXchange Tablet Jackets™, in one place! Our apologies for the delay on this. A member of our Web Shop team will be emailing you with more information and to keep you updated on our Poland launch. Any news about availability in Poland? We are sorry to say that we have launched our Polish shop yet. We are aiming for early this month, though. We do have a contact form on our eXchange™ website (exchangebyhm.com)that can help direct to you a team member specialising in these new products and your region and who can give the most up-to-date information. Do any of these fit I pad mini 4th generation? Thanks for asking. We are hard at work making the adjustments to fit the updated iPad mini 4th generation model. They are currently in development and not yet available, but we hope to get them on the market soon! Dis you have news about the cover for ipad mini 4? Thanks for asking. We are working on our iPad mini 4 Tablet Jacket™ Systems and expect to have them available in the next 12 to 18 weeks. Did you have any news about the ipad mini 4 cover ? We have checked in with our eXchange team. The covers for iPad mini 4 are in development and we will be sure to announce it online when they are released. The most up-to-date information can be found on the eXchange website (http://exchangebyhm.com/) and social media (Twitter, Facebook, Instagram). I am still waiting for the ipad mini 4 case since march. Did you have any good news for me? We do indeed have good news! 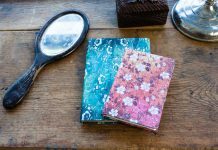 Our eXchange cases for iPad mini 4 will be available in our European webshop (shop.paperblanks.com) by the end of September. You mentioned some covers are compatible with the ipad 2. Which are they? Thank you. We will be offering eight of our cover designs for iPad 2, 3 and 4. They are not available yet, but the first four designs (Pastoral Impulses, Grolier, Maya Blue and Safavid) will be available mid-December. Aside from in stores, our eXchange™ products are available in our European Web Shop and we will update the selection as soon as the iPad 2 Systems arrive. Please do not hesitate to contact us if we can help any further! Availability for our Tablet Jacket™ Systems varies by region. If you would like to email us at info@exchangebyhm.com we would be happy to help you find what you’re looking for. I wanted to order one of the Ipad 2 models, and the site said there are 8 options when I selected ‘Ipad 2gen’. However, when I clicked on one of the models to order it and I had to select the ‘interior format’, ‘Ipad 2gen’ wasn’t in the options to choose from. I take it they arent available for the Ipad 2 anymore then? I still ask because on the website at first it gives the impression that they still are available. Thanks for writing us. Sorry for the confusion! As our online availability can vary by market, a member of our Web Shop team will email you to discuss further and help you find the model you are looking for. Update: We did experience a delay in stocking our inventory for this model, but expect it to be ready in our Web Shop this Friday! Where in the UK can I get one of these beautiful iPad Air 2 cases/covers? 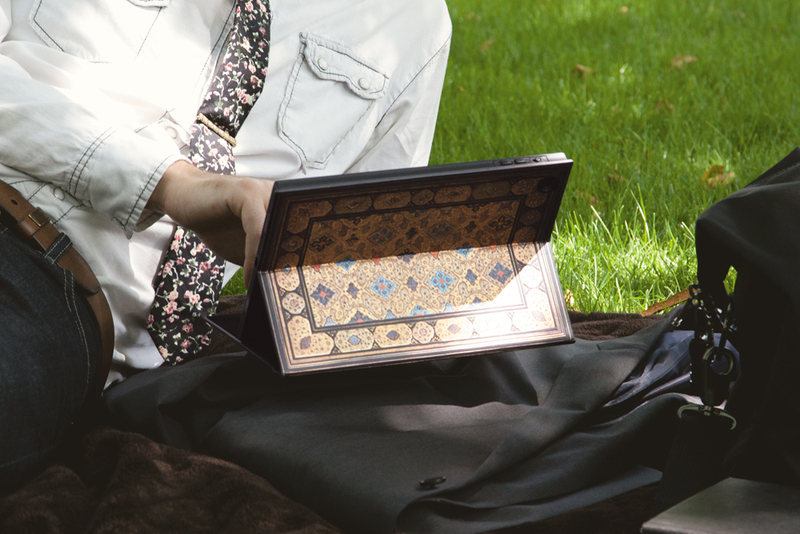 Our eXchange Tablet Jacket™ Systems are available in the UK on our European Web Shop: https://shop.paperblanks.com/gb/en/. For more information on where to find them in a store near you, please email us at info@exchangebyhm.com. Will you be bringing these fantastic cases out for the iPad Pro? I would love to get one!! At this moment we do not have plans to expand to iPad Pro. But we have forwarded your suggestion to the eXchange™ product design team! Does the jacket for the air 2 fit any other size tablets? The Jacket (covers) for Air 2 also fit the original iPad Air model. However, both do need their own individual grip, so be sure to purchase the correct full system (case) to begin. Please email us at info@exchangebyhm.com with any further questions and we would be glad to help! will there be a cover for the i pad pro 9,7”? I would love to buy one! Our eXchange team is working on those as we speak and the iPad Pro 9.7 covers will be ready for release soon. Please check out our German web shop for the official product launch!